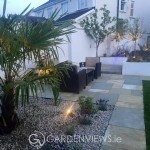 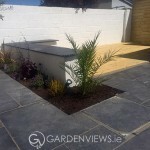 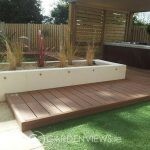 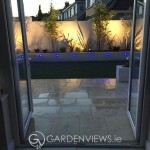 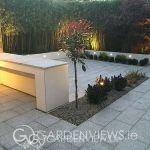 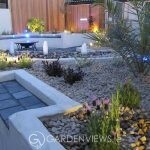 Sometimes less is more and in this Dun Laoghaire garden we decided to keep the design simple. 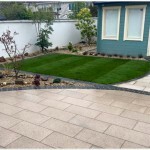 The clients brief was low maintenance, bright colour and the perfect lawn!! 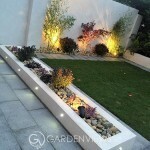 We scrapped the dark, dull grey wall for a fresh white plaster finish and this immediately offered any planting we chose to contrast perfectly. 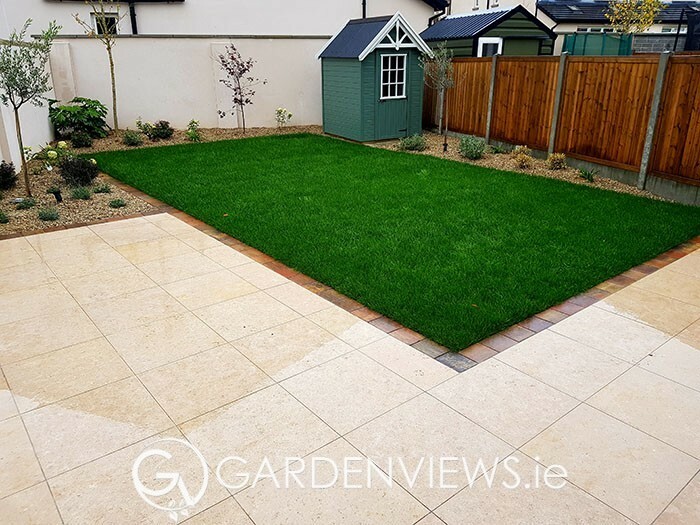 Turkish travertine was the patio of choice and installed at the same height of our rolled grass to reduce maintenance and highlight the clean, crisp line of our featured lawn.